Scientists using the Hubble Space Telescope have confirmed that the Jupiter-orbiting moon Ganymede has an ocean beneath its icy surface, raising the prospects for life, NASA said on Thursday. The finding resolves a mystery about the largest moon in the solar system after NASA’s now-defunct Galileo spacecraft provided hints that Ganymede has a subsurface ocean during exploration of Jupiter and its moons from 1995 to 2003. Like Earth, Ganymede has a liquid iron core that generates a magnetic field, though Ganymede’s field is embedded within Jupiter’s magnetic field. That sets up an interesting dynamic with telltale visuals – twin bands of glowing aurora around Ganymede’s northern and southern polar regions. As Jupiter rotates, its magnetic field shifts, causing Ganymede’s aurora to rock. Scientists measured the motion and found it fell short. Using computer models, they realized that a salty, electrically conductive ocean beneath the moon’s surface was counteracting Jupiter’s magnetic pull. Scientists ran more than 100 computer models to see if anything else could be having an impact on Ganymede’s aurora. They also repeated the seven-hour, ultraviolet Hubble observations and analyzed data for both belts of aurora. NASA Planetary Science Division Director Jim Green called the finding "an astounding demonstration." “They developed new approach to look inside a planetary body with a telescope,” Green said. Ganymede joins a growing list of moons in the outer solar system with subsurface water. On Wednesday, scientists reported that Saturn’s moon Enceladus has hot springs beneath its icy crust. Other water-rich worlds include Jupiter moons Europa and Callisto. 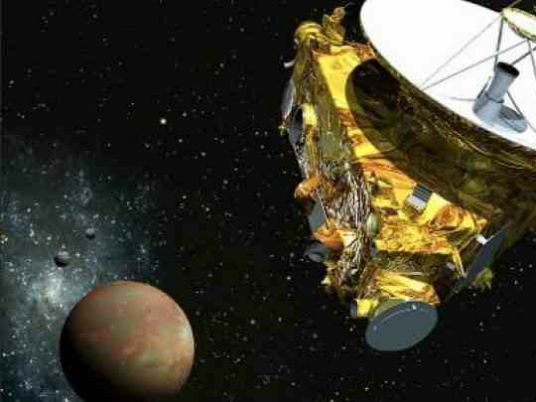 “It is one step further toward finding that habitable, water-rich environment in our solar system,” said astronomer Heidi Hammel with the Washington-based Association of Universities for Research in Astronomy.